The world seems to be like music full of crescendo and repeat marks. 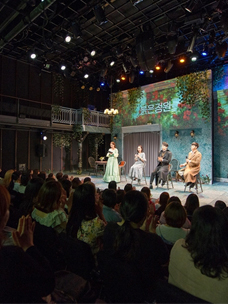 [CJ Culture Foundation=2016/5/24] "Crescendo Palace (written by Kim Seul-gi, and directed by Jeon In-cheol)," a play supported by Creative Minds of CJ Culture Foundation (Chairman Lee Jae-hyun), is scheduled to come to the stage of CJ Azit Daehakro from May 24 to June 5. This is to be the second performance of2015's two winning plays of Creative Minds, which is CJ Culture Foundation's program to support new performance creators. The first will be "Pinky and Granzo". The story of "Crescendo Palace" subtly describes the process of change within a family. It centers on a woman who wants to run away from her family but at the same time is afraid of making a new family. She comes to know a guy through SNS, which becomes a critical opportunity for her to release the dark emotions from deep inside her mind. As she expresses those dark emotions, the family is finally broken, but on the contrary, their lives, which seemed to always go around in circles, now start to take a step forward. Writer Kim Seul-gi said, "Anyone who has a family feels oppressed by the weight of family, treading a fine line between feelings of love and hatred. Everyone is on thin ice, hiding complaints and pretending to be peaceful," adding, "I wanted to describe that as the times change, the meaning and form of family change." The play is directed by Jeon In-cheol who has earned favorable reviews for his plays including "Sister Mokran" and "Yellow Envelope." It also features veteran actors and actresses including Kang Ae-sim, Kim So-jin, Kwon Il and Kim Min-ha, creating a sense of high expectation for the performance. Art Director Bae Sam-sik of Creative Minds showed a deep trust in the writer and the work, saying, "Even though she's a very young writer, I was amazed by her profound understanding of "discoloration in relationships", which comes from entangled personal relations and accumulated experience. To further enrich the story and emotion, Jeon In-cheol's competent direction will, make adults of all ages sympathize with the work. Meanwhile, CJ Culture Foundation, founded by CJ Group chairman Lee Jae-hyun in 2006 on the basis of his belief that corporations should help young people fulfill their dreams, has been committed to providing various support programs for new creators. 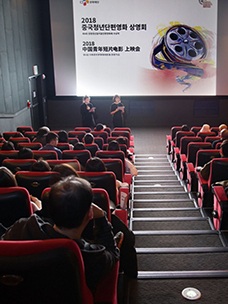 When it comes to the performance category, such as musicals and plays, "Creative Minds," a support program operated by CJ Culture Foundation since2010, has picked out a total of 83 new creators. 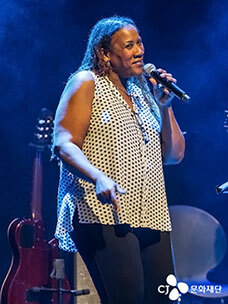 It has also supported 45 stage performances including musical reading and theatrical performances. 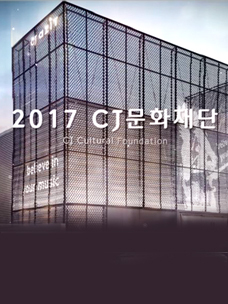 CJ Culture Foundation also opened CJ Azit Daehakro, the performance venue of "Crescendo Palace," to mark its 10th founding anniversary on April 22, 2016, as a "culture container full of creativity and sharing." "Crescendo Palace" won the play category of the Creative Minds contest beating the odds of 0 in 000 in 2015. The play was completed and ready to be performed on stage after much mentoring and monitoring. A woman has been overwhelmed by the weight of her father who shuts himself in his room all the time and exists only in his coughs and her brother who died six years ago. Now, she starts to be concerned over her mother saying the same thing over and over. To make matters worse, the phantom of her dead brother appears in her house. She comes to know a man through Twitter, and one day goes to a motel with him. There she reveals her own darkness from deep inside in front of him for the first time in her life. She then tries to break the false peace within the "palace" her mother has made.